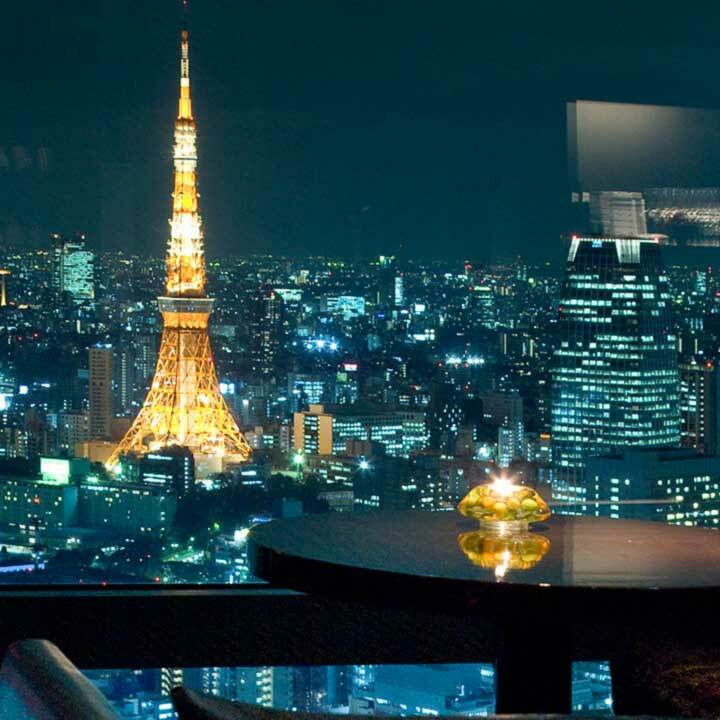 Enjoy a 360 degree panoramic view of Tokyo from the Observatories! 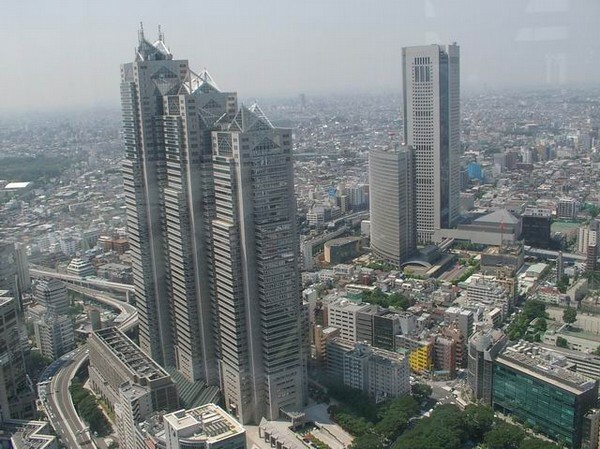 The view from each tower differs slightly: On the Northeast side you will see highrises and skyscrapers of Shinjuku; on the northeast side you will find the Tokyo Skytree, On the South Tokyo Tower, and on the fine day, especially in the winter time you may be able to see Mt. Fuji in the west. There are several shops on the observatory, especially in the North Tower. 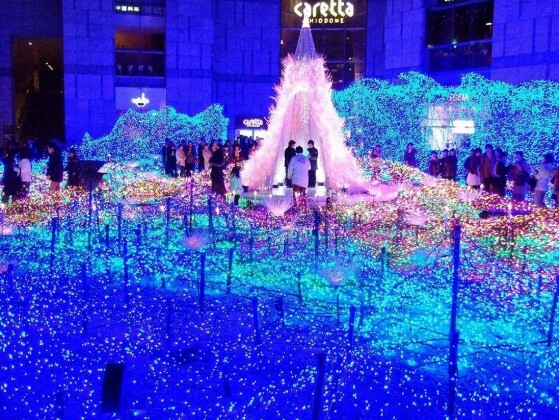 It is open until 23:00 so feel free to indulge in the breathtaking glittering night scenery of Tokyo. At the 1st floor of the main building, there is an express elevator to each observatory. The observatories are located on 45th floor height (202m, 663 ft). The elevator allows you to reach 45th floor in just 55 seconds!! By the way, the main observatory of Tokyo Tower is 145m (about 476ft), and you need pay extra to go to special observatory. 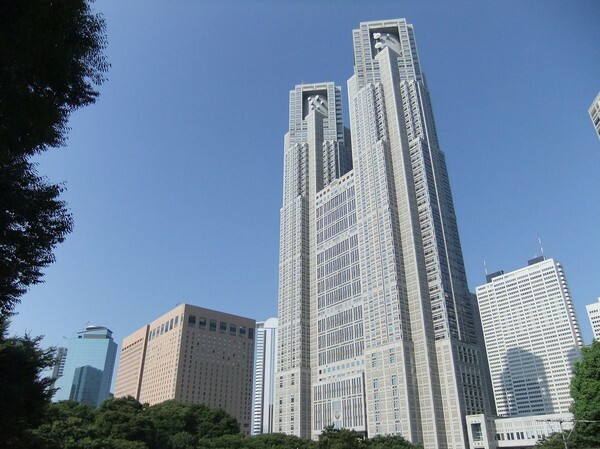 So the Tokyo Metropolitan Government Building actually brings you to a higher point at a lower cost, in fact for free!! Don't miss out on the night view from the North Tower! 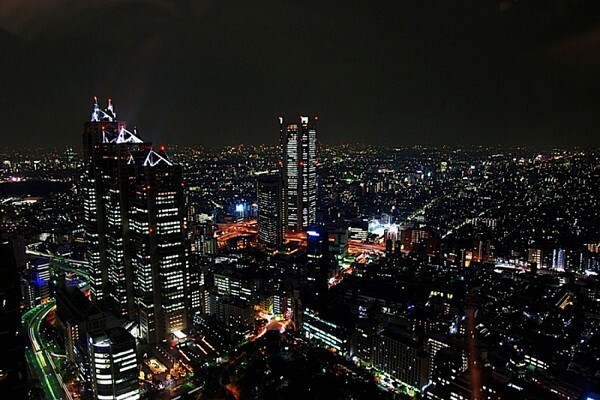 On the southeast side you can see the lights of Roppongi Hills, Tokyo Tower, and the Rainbow Bridge. On the southwest side, you can see the famous port town Yokohama in the distance. 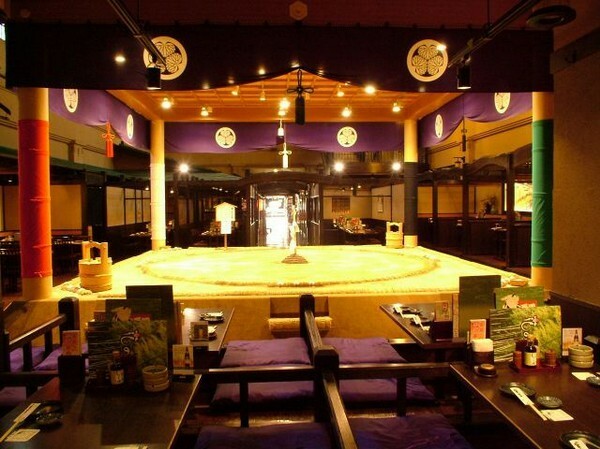 Open til 23:00 in the case when North Tower is closed. Unlike the North Tower shop they focus more on Japanese souvenirs. 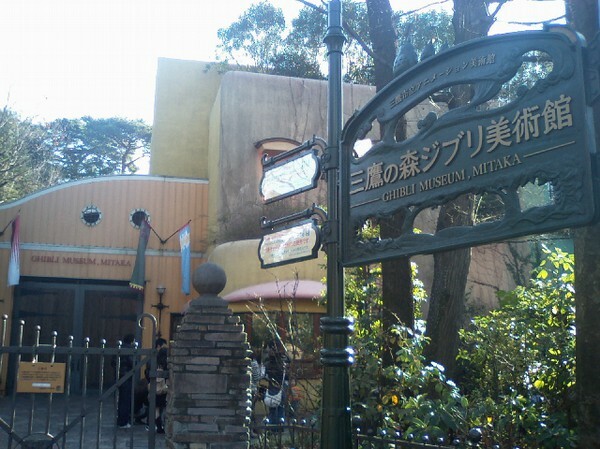 New Year's Holiday (Dec 29th to 31st and Jan 1st to 3rd) and inspection day of the building will be closed also. 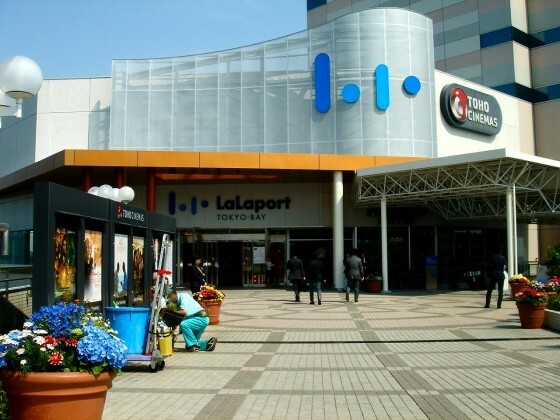 Access10 mins walk from JR Shinjyuku Station South and West Entrance. Get off at the Tochou -mae station on the Oedo Line. 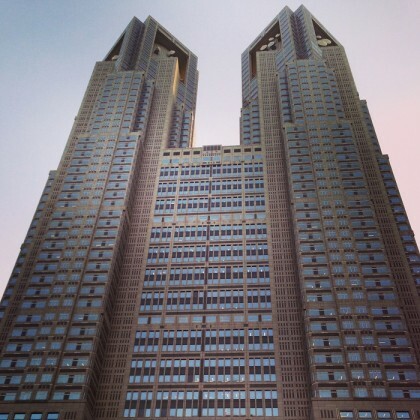 This tour covers Tokyo Metropolitan government building observatory.